Last week, we presented our readers with some interesting data about the impact of social CTAs on Facebook engagement. But we got to wondering -- what about posing questions in your Facebook posts? How would that impact engagement metrics such as Likes, shares, and comments? 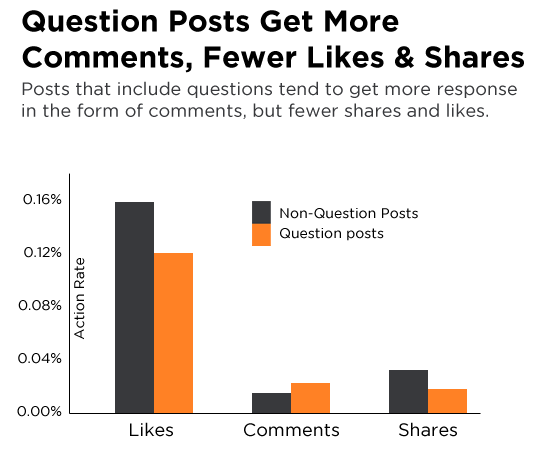 As you can see in the infographic, I found that while posts with questions tend to generate more comments, they also tend to garner fewer Likes and shares than non-question posts. In other words, the data shows that periodically using questions to encourage commenting does work, but they are not an all-encompassing engagement panacea. 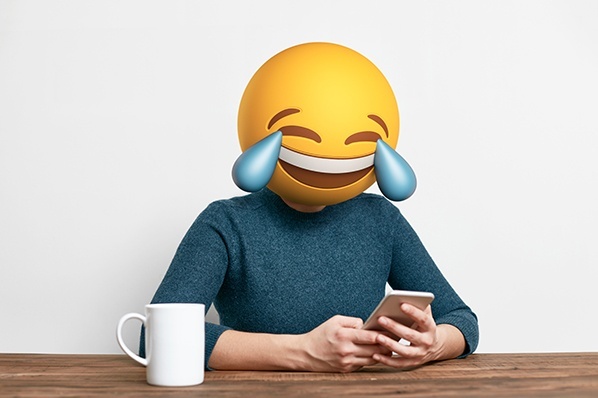 Posing questions can be a great way to elicit feedback from your Facebook fans and page visitors, but it's not the most effective way to drive overall Facebook engagement. In addition, we can also see that question words that yield "yes" or "no" responses such as "should" and "would" -- as well as multiple choice questions like "which" -- tend to generate more comments than nebulous, open-ended questions like "why" and "how." The takeaway here is, if you're using questions to generate more comments on your Facebook Page, post questions that are quick and easy to answer. How are you using questions on your Facebook Page timeline? Have you experienced similar results?